What a year! 2017 has been a busy and exciting year at EI Sturdza with new fund launches, strategic partnerships, industry awards, fund performance milestones and much more. In March, we partnered with legendary Japanese investment manager, Rheos Capital Works Inc, to launch the EI Sturdza Strategic Japan Opportunities Fund, with Mitsuhiro Yuasa as the Portfolio Manager. Video: Mitsuhiro Yuasa provides insight to the fund’s strategy and his outlook for Japan’s economy. 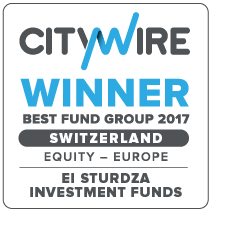 Our strong track record of investing in European equities, led by Willem Vinke and the EI Sturdza Strategic Europe Value Fund, helped EI Sturdza take home the coveted Best Equity Fund Group for Europe prize at Citywire’s Swiss and Italian awards – a great achievement for the team! During the year we took the decision to soft close our EI Sturdza Strategic European Smaller Companies Fund, managed by Bertrand Faure when assets reach EUR 230 million and hard close at EUR 250 million, believing this to be in the best interest of our valued investors, avoiding a dilution of performance as a result of an increasing AUM. Video: Bertrand discusses the Fund’s approach to identifying market leaders. The EI Sturdza Strategic China Panda Fund has been an outstanding performer for our investors in 2017, returning 67% (as at 24 November). It has a Morningstar Five Star rating and is managed by Lilian Co. 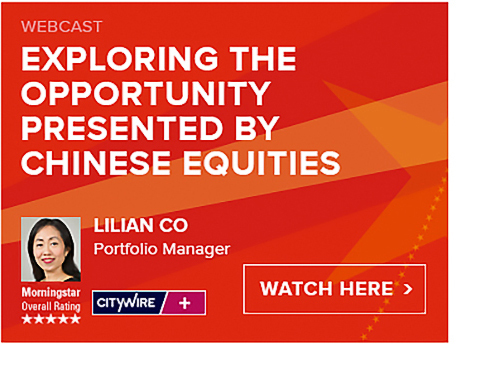 In the latest webcast: Lilian provided insight regarding her optimism for China’s economic trajectory and the opportunity for sustained growth. We now offer Swiss investors the opportunity to invest in China’s fast-growing equity markets by offering a fully hedged Swiss Franc Class of the fund. Interested in the China Panda Fund? In the autumn, we announced a partnership with the highly-respected Zurich-based fund distributor Johann & Graemiger Partners. Photo from top row from left to right: Alan Rowe, Dan Galpin, James Travers; Joshua Lewis, Bob Guilbert, Max Thornton; Laura McCarthy, Amy Critchlow, Magda Puzio and Ben Creasey. Beyond our range of funds, EI Sturdza sponsored the Guernsey triathlon teams, with both the men’s and women’s teams excelling in the 2017 Island Games, bringing home silver medals from the event held in Gotland, Sweden. Whilst on the race track, our driver, Nick Saunders has had a stellar year with nine class wins and four outright event wins. A season highlight came when Nick started from behind to claim a dramatic win in the inaugural Imperial Hill climb. As a gift to our investors, we decided last year to make a charitable donation to the UN Refugee Agency (UNHCR). We will continue the tradition by once again supporting the vital humanitarian work undertaken by the agency. The UNHCR is dedicated to saving lives, protecting rights and building a better future for refugees, forcibly displaced communities and stateless people. In addition, we will also support a new charitable partner, The Tumaini Fund. The fund has a local presence in Guernsey and works in Tanzania to better the lives of orphans and widows through various initiatives including access to clean water. ‘Tumaini’ is Swahili for ‘hope’. We will provide further updates regarding the projects that the Tumaini Fund will be undertaking in 2018 as a result of our partnership. We are delighted to be able to support such worthwhile charities in this way, as we hope you are too. I would like to take this opportunity to thank you for your support and for making 2017 a successful year for EI Sturdza Investment Funds. We wish you, your family and colleagues a happy, peaceful festive season and a prosperous 2018.